The summer between college and seminary, I interned with a small rural church. I wouldn’t have admitted to being lonely, but I was most certainly out of my element. In one week, I had gone from being an undergraduate with a social life to a country preacher living alone in a borrowed farmhouse. After one of my self-pitying walks through the tobacco fields, I heard a light tap on the screen door. It was Mrs. Mills. She had shuffled across the street in her housecoat to welcome me. In her hands she held a fried pie, the kind that comes individually wrapped at the convenience store. At 94, she explained, she had retired from baking. But still she wanted to share dessert. I invited her in and somehow, by the grace of God, was able to find two clean forks in the kitchen. So began an almost nightly ritual during the summer of 1988: Mrs. Mills at my screen door bearing gifts. A Little Debbie snack cake. A handful of vanilla wafers. Powdered-sugar donuts. Each night the offering was different but the offer the same -- dessert and conversation until it started to get dark. At first our conversations were stilted, hesitant. But after a while I forgot the 74 years between us. I stopped seeing Mrs. Mills as some porcelain antiquity. She became flesh and blood, a friend. I still think the greatest gift of that summer was the lesson she taught me in Christian hospitality. 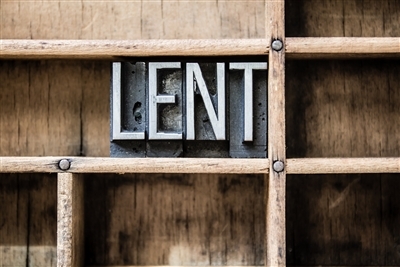 As I prepare to lead my congregation through the season of Lent, I wonder what would happen if we approached this holy time from a different perspective. Rather than personal sacrifice, rather than giving up chocolate or caffeine, what if we took on hospitality? This year, I would like to challenge myself and my parish to share a meal -- or just a prepackaged dessert -- with someone who seems quite different from ourselves. Someone much older or younger. Someone covered with tattoos or in a Brooks Brothers suit. Someone whose faith is unnervingly fervent. Someone who doesn’t believe in anything at all. Lent is the season when we are most intentional in our pursuit of holiness. Yet rarely do we regard hospitality as a vehicle toward this end. That’s understandable. Holiness is traditionally thought of as separation. To be holy is to be set apart. The holy act of separating -- of drawing and then preserving distinctions -- runs like a red thread from the creation story of Genesis to the dietary laws of Leviticus. In Genesis, God separates light from darkness. Sky from sea. Human creatures from all the rest. Leviticus distinguishes clean food (fish and beef) from unclean (shrimp and pork). “Creation,” explains Leon Kass in “The Hungry Soul,” “is the bringing of order out of chaos largely through acts of separation … [and] distinction.” The laws about table fellowship follow suit. The restrictions imposed become a touchstone for Israel’s pursuit of holiness; the distinctions literally and figuratively set them apart. God … separates light from darkness, day from night, water from land, the sea creatures from the land cruisers. … At the same time God binds things together: he binds humans to the rest of creation as stewards …, to himself as bearers of his image, and to each other as perfect complements. In Christ, we encounter the promise of new creation. Christ fulfills God’s vision of holiness, not through separation and distinction, but with invitation and companionship. This is most evident in the unexpected company he keeps at the dinner table. Prostitutes and scoundrels. Tax collectors and lepers. His perfect holiness manifests itself in hospitality toward those seemingly least like himself. Perhaps this Lent, my parishioners and I will become more intentional in our hospitality. If so, we will also be better-prepared for our Easter vigil. By then, we’ll be more Christlike. More whole. More holy. Courtesy Faith & Leadership, www.faithandleadership.com. Photo courtesy Bigstock.